Congregation Shearith Israel is home to dozens of weddings each year, each one as beautiful and meaningful to us as the bride and groom are to each other. 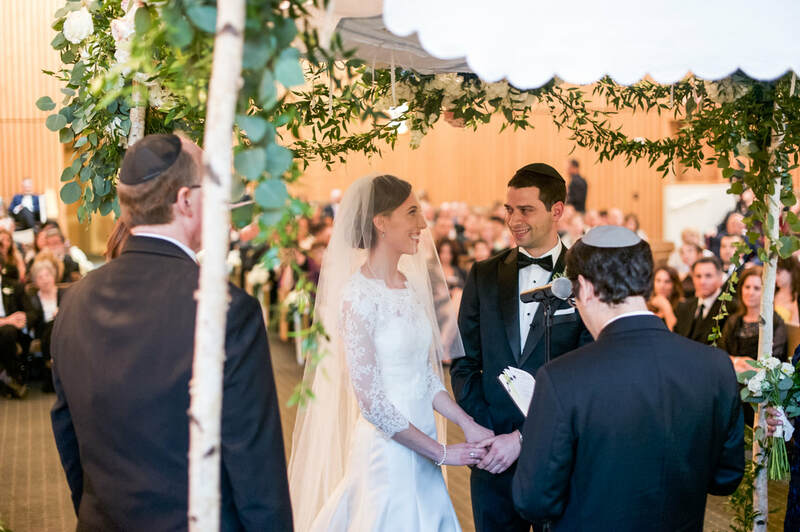 In addition to elegant weddings in one of our spacious sanctuaries or on our manicured grounds, our rabbis officiate at weddings located in hotels, private homes, catering halls, the Dallas Arboretum and other sites around the Metroplex. Contact Theresa Hurt at thurt@shearith.org to schedule a meeting with one of our rabbis and/or the Hazzan, set your wedding date and get information about wedding ceremonies. The wedding is just one day, and like your spouse, we’ll be there for you before and after the chuppah. Congregation Shearith Israel offers pre-marital counseling and a wealth of resources to help make your new life together a happy, healthy, inspiring journey every day.